"Peppa" with his brother "George" and his friends "Zoe Zebra", "Danny the Dog", "Pedro Ponny", "Emily Elephant" and "Susie Sheep" takes a full of adventure and fun tour in the Cultural Center Theater 1, where it captivated the young audience throughout 75 minutes. They are appear alive in front of the crowd as 3d models, not animation, this give quite a huge surprise to the society whereas little known, yet they performance didn’t feel awkward, instead they awed the children. They wear pirate costume as if they are pirates who came from peppa's treasure island. This kind of performance motivates many parents to do the same for their child’s birthday party, as some parents said when we interviewed them. 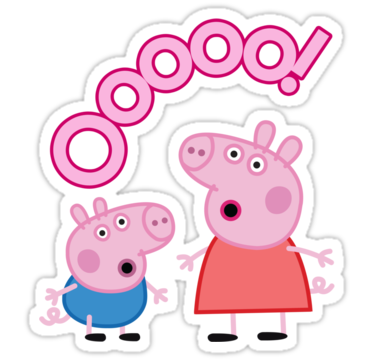 With the support of special effects and a colorful stage show "Peppa Pig treasure hunt" surprised the audience who attended each of the requests of the characters, ranging from clapping and singing, to solve some clues. At the proposal stage, the characters dance, sing, play and have fun, while looking for treasure in the mountains, in the forest and on an island, places that come with the help of the "Lady Bunny", who himself leads a truck and a train, a boat and a balloon. Thanks to various tracks, "Peppa", "George", "Zoe" and "Danny" and "Pedro", "Emily", "Susie" and "Daisy" find the treasure and enjoy a day full of adventures surprises. The fun is accompanied by special effects such as bubbles and multicolored confetti falling from the ceiling, as well as from the stage streamers flying into the seats. One of the most amazing pictures of the musical is when "Peppa" and "Daisy" start poking around deep sea, where they find fish, jellyfish, starfish and seahorses, which are puppets who walk the stage lit only by the light of each animal. Emiliano, nine said that this scene was his favorite because as well as learn about the animals that live in the sea, enjoyed the bubbles that fell on his face. "It was really cool, until I felt I was at sea," said excited and still chanting one of the themes of the show. Another moment that sparked the joy of the children was when the characters surprisingly left the stage to greet them; prompting many of the infants were lifted from their seats promptly and were running toward the hallways. The atmosphere we experienced was with joy and to the sound of spanking children joined the interpretation of "Bong / bing / bu / bing / bong" score that was projected on a colorful backdrop. The fun continued and applause did not stop. Upon discovering the treasure behind a bush shaped rainbow, "Daisy" opened the bright chest and one by one took the gifts were there. After completing a "Ho-ho-ho" was heard with the arrival of Santa Claus, who promised them this Christmas gifts to children present. The fascination was apparent as in previous songs, the audience joined the cast in the interpretation of the last issue of the musical, which included, among other choirs, the reference to jump mud puddles and the "Barba Dog" pirate helped "Peppa" and his friends find the treasure. "Peppa Pig treasure hunt" continues this function at next weekend at the Theatre 1 Cultural Center. Then, from November 30, will tour to Toluca, State of Mexico; Guadalajara, Jalisco; Querétaro, Querétaro; Saltillo and Torreón, Coahuila; Monterrey, Nuevo León; Mérida, Yucatán; Cancún, Quintana Roo, and Tuxtla Gutierrez, Chiapas.